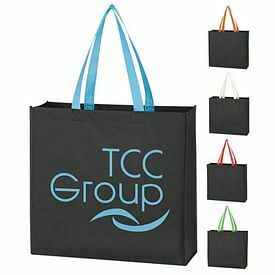 We have in store a number of custom reusable shopping bags that can be used for various promotional events. 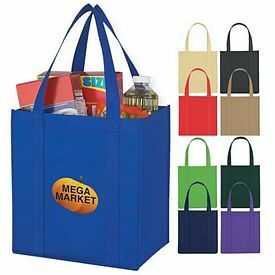 The branded Non-woven two tone reusable shopping bags are made of 80 gram non-woven water resistant polypropylene. 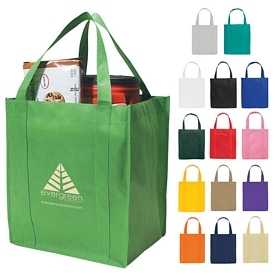 The logo shopping bags are not only reusable but also recyclable. 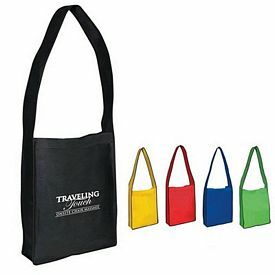 The covered bottom-insert matches with the bag. 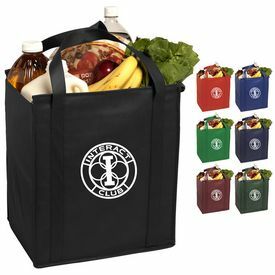 There are 21 inch handles attached to the reusable totes. 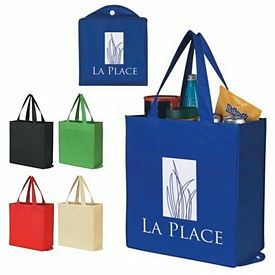 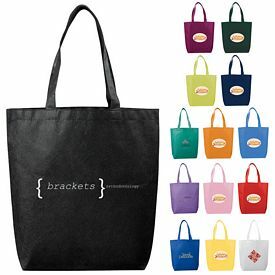 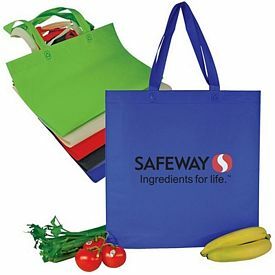 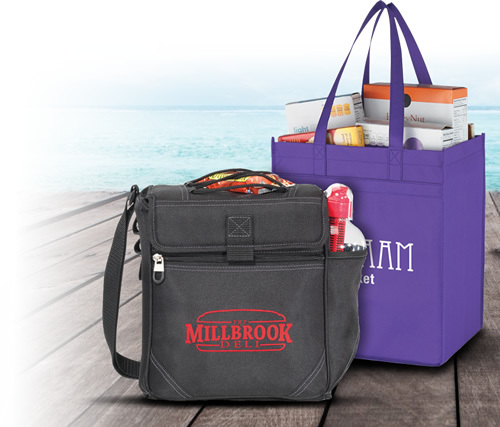 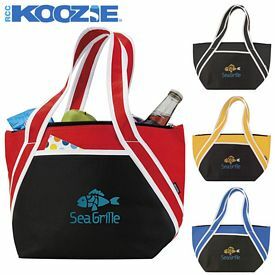 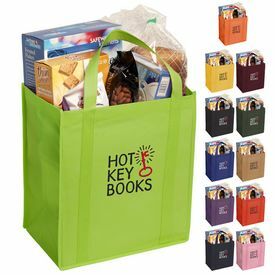 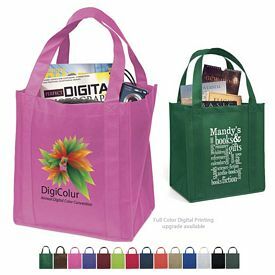 The shopping bags are great promotional products for grocery stores, markets book stores etc. 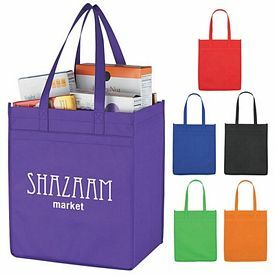 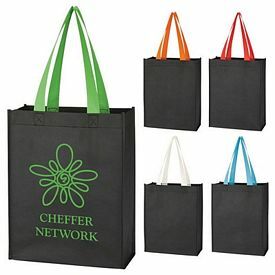 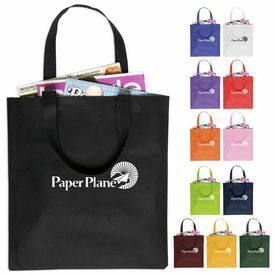 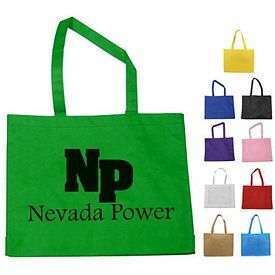 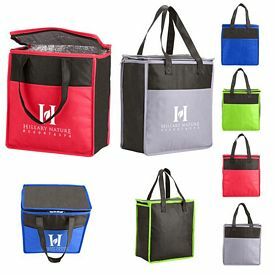 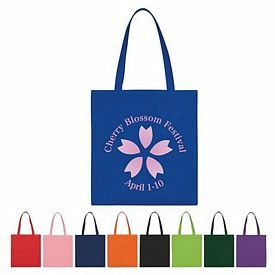 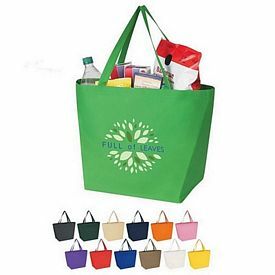 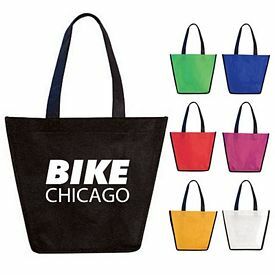 The promotional reusable shopping bags are available in the colors purple, orange, yellow, royal blue, red, or Kelly green all with black handles and black accents. 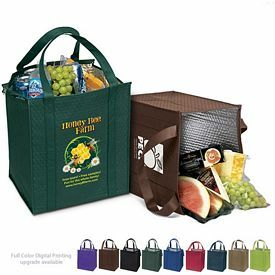 The handles and accents can be in ivory, navy, or forest green. 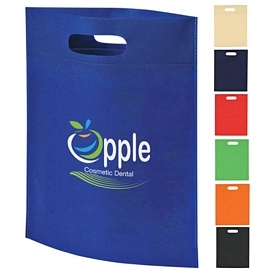 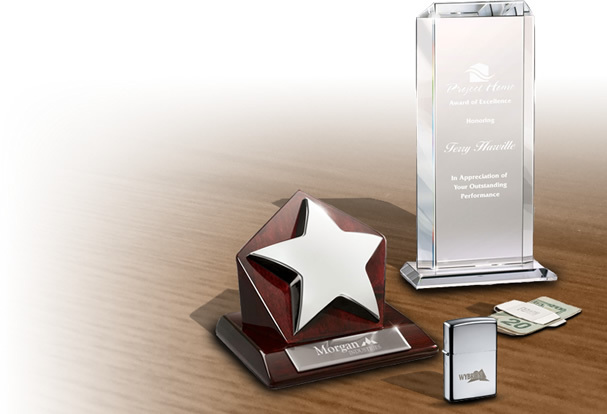 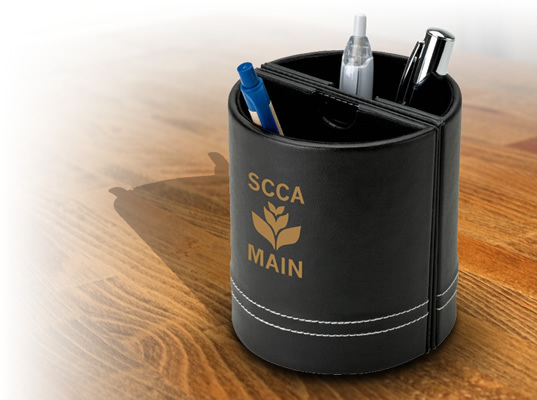 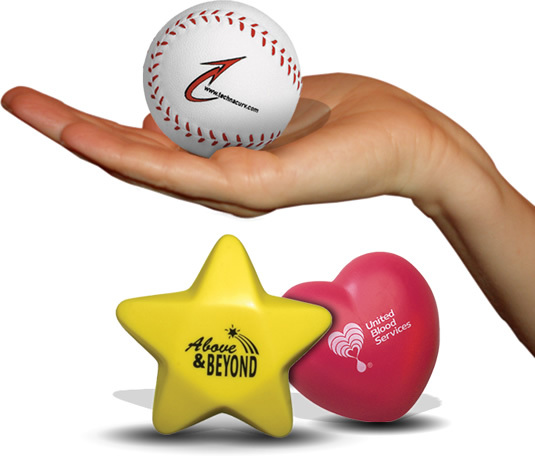 One color logo imprint can be customized and artwork eproof will be done free of cost. 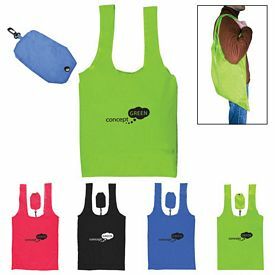 We do not charge any setup fees for screen imprinting your company logo. 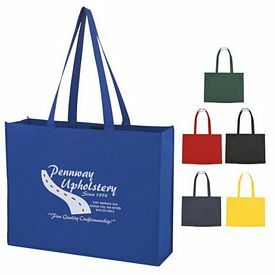 You will get a free 24 hour rush service on the logo shopping bags. 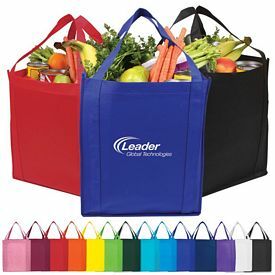 The promotional laminated non-woven striped big grocery bags have a subtle striped print which will focus all the attention to your company logo. 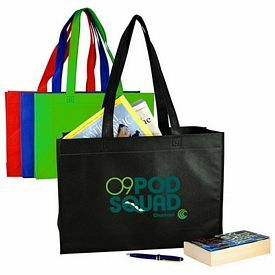 The main compartment is large with and a supportive bottom board. 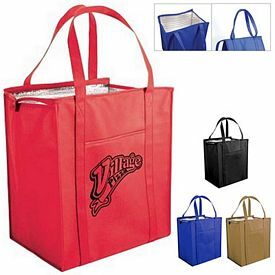 The protected handles and binding increase the robust factor of the grocery bags. 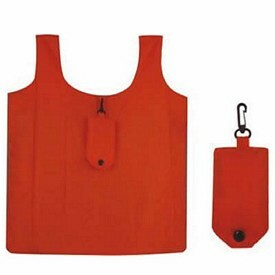 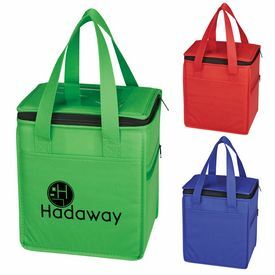 The polypropylene open front pocket is in contrasting colors. 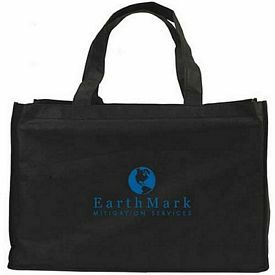 You can easily clean the customized reusable grocery bags. 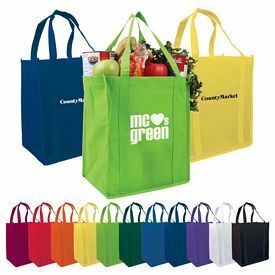 You can choose colors like grey, forest green, red or royal blue. 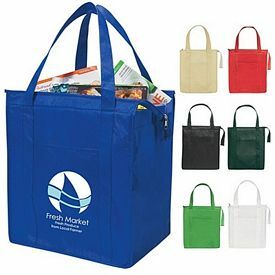 There is a free 24 hour rush service on the promotional grocery bags. 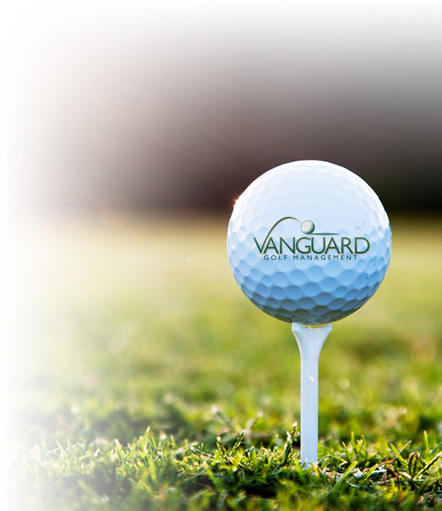 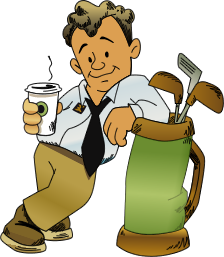 We will not charge any setup fees for a customized company logo. 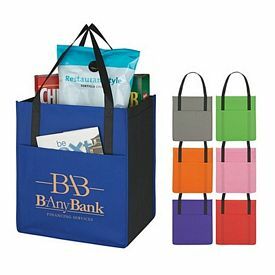 The custom Lami Combo Shopper reusable totes are made of a combination of materials like 80 gram non- woven or 110 gram non-woven water resistant polypropylene. 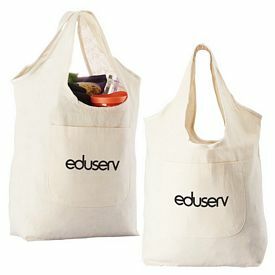 The branded recyclable logo bags have a front pocket to keep all the necessary small items. 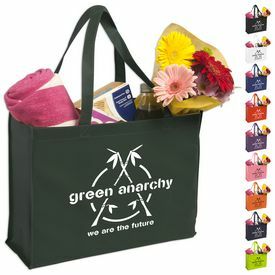 You will get the promotional reusable shopping bags in red, lime green, royal blue or black all with black trim. 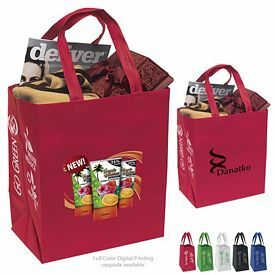 Free 24 hour rush service is provided on the promotional shopping bag. 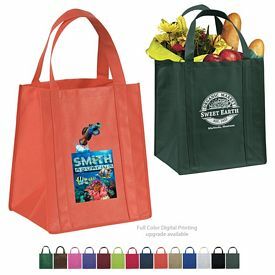 The promotional Matte laminated non-woven vintage big grocery bags come in a vintage print. 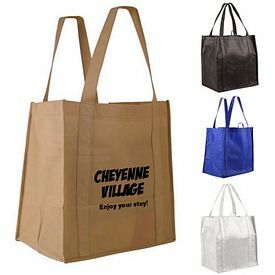 The natural colored shopping bags have reinforced handles and binding for durability. 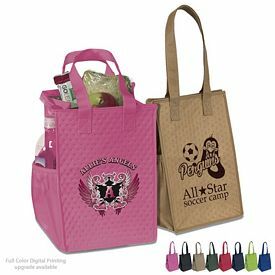 The laminated material and supportive bottom board is water resistant and can be effortlessly cleaned. 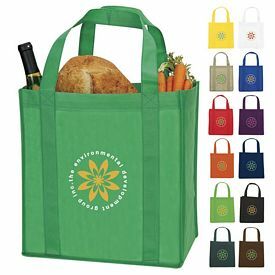 The Sunbeam Jumbo reusable shopping bags are perfect to create a great marketing strategy for your company. 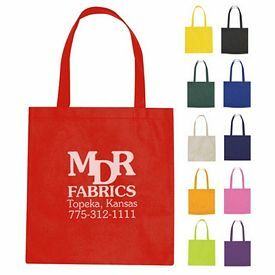 The customized reusable totes fold into a small purse and are available in black, blue, lime green or red. 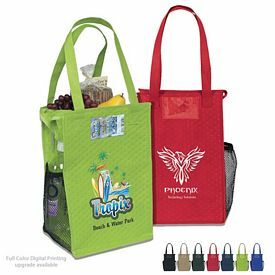 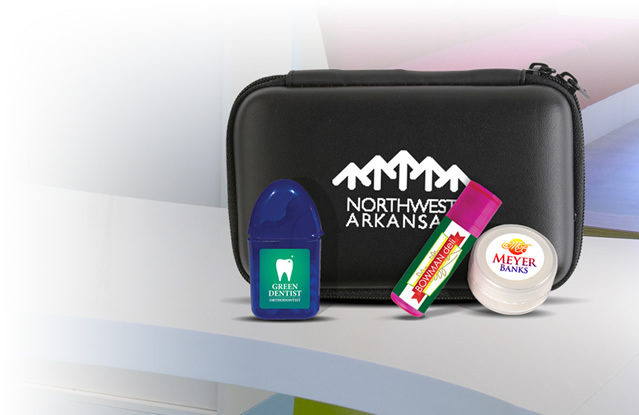 There is a three day free rush service along with a free one color customized logo imprint and free artwork eproof. 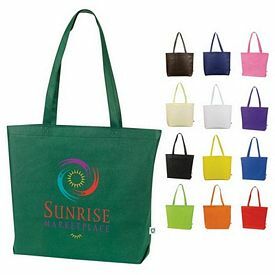 The promotional Eco Carry Insulated shopping bags are made of sturdy polypropylene and insulated lining. 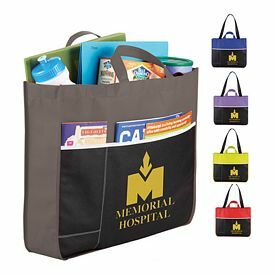 The features include a large front pocket for grocery list and coupons, dual reinforced 22 inch carrying handles, large side and bottom gussets, and a top zipper closure. 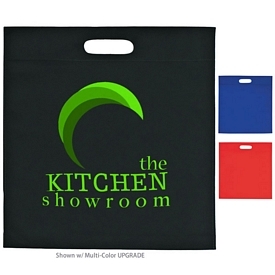 The available colors are lime, dark green, royal blue, red, or black. 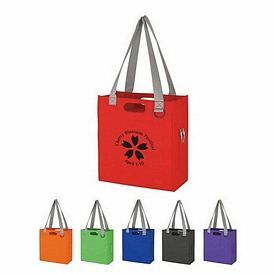 There is a free one color logo imprint, free artwork eproof and no set up fees.